Why would a teenager leave their homes and families to embark on gruelling training, work long hours and follow rules on how they should dress? 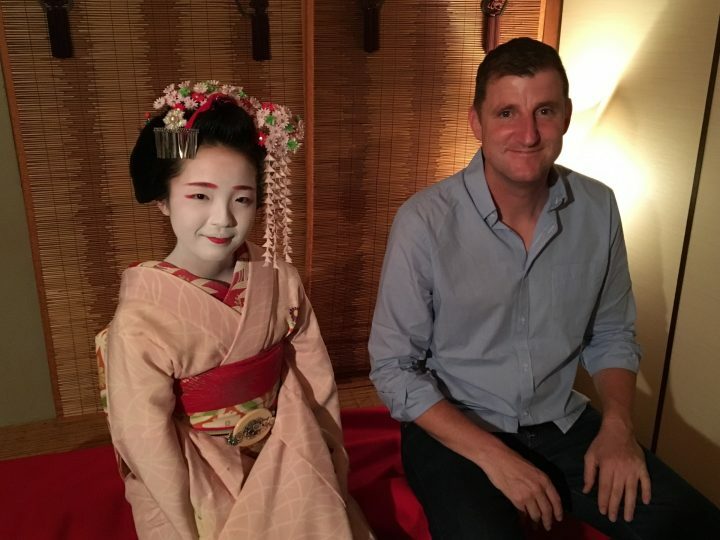 Tour leader Ben Walker meets a trainee geisha in Kyoto to find out. Upon stepping into the Maruume Teahouse in the Gion district of Kyoto, we were immediately transported back centuries, to Edo Period Japan (1603–1868). 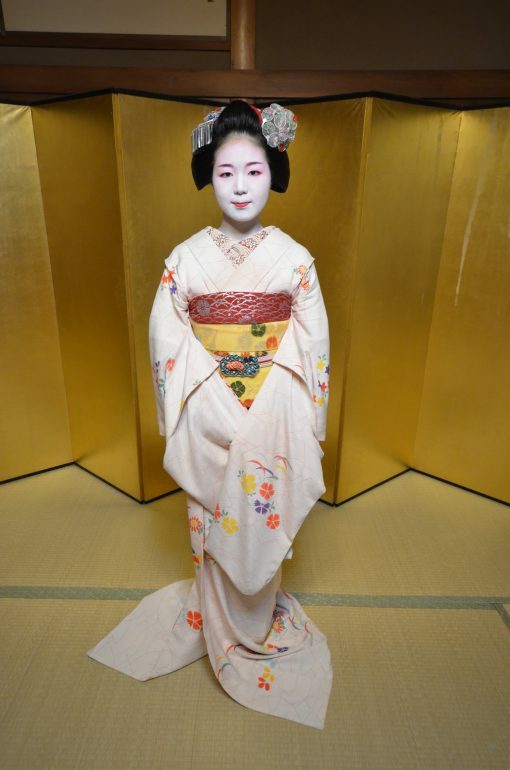 There, seated in the entrance, was a Japanese cultural icon in the flesh – a geisha (actually a trainee, or maiko). As we clumsily took off our shoes, she greeted us in a cheerful sing-song voice, and despite the fact that she was, in reality, still a 17-year-old girl, something about the otherworldliness of the situation left us strangely quiet and, dare I say, a little bit shy. The dark, lamp-lit interior, the tatami flooring and the smell of incense and matcha green tea added to the ambience as we took our seats on the floor, and with that, we began our hour with a maiko-san. 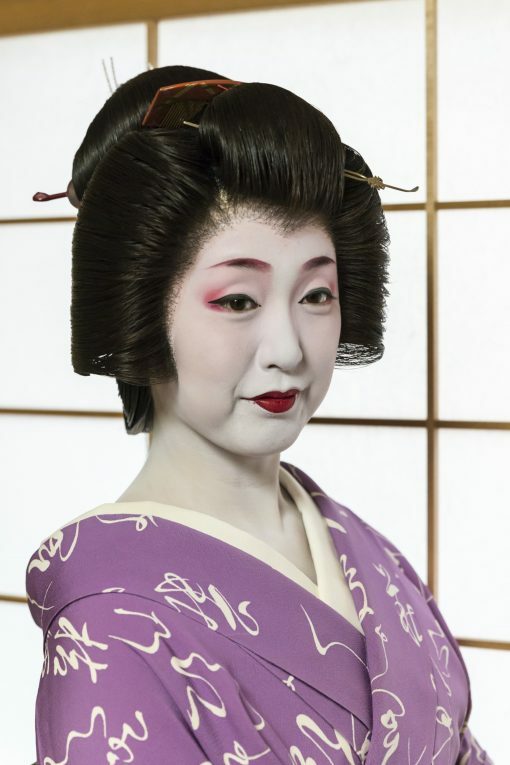 First, however, there are a few things worth knowing: Kyoto’s geisha are not called ‘geisha’, but geiko. The first kanji character, ‘gei’ (meaning ‘art’), is the same, but the ‘sha’ character, which means ‘person who does’, becomes instead ‘ko’, which translates as ‘child’. 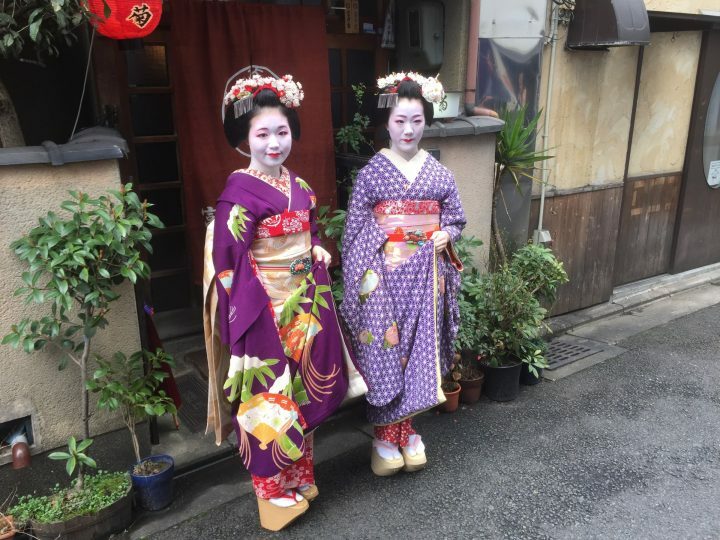 Despite these semantics, geisha and geiko refer to exactly the same thing, and apprentice geisha are known all over Japan as maiko, which translates as ‘dancing girl’. In Kyoto, a maiko will often start her training after she finishes junior high school, when she is between fifteen and sixteen years old. This does not mean that her education stops. On the contrary, she will study prodigiously for the next five to six years in one of the schools in her hanamachi (geisha district). She will learn calligraphy, tea ceremony and poetry. She must also become proficient in Japanese percussion, learn to play the shakuhachi (a type of Japanese flute) and master the shamisen (a three-stringed banjo-type instrument). 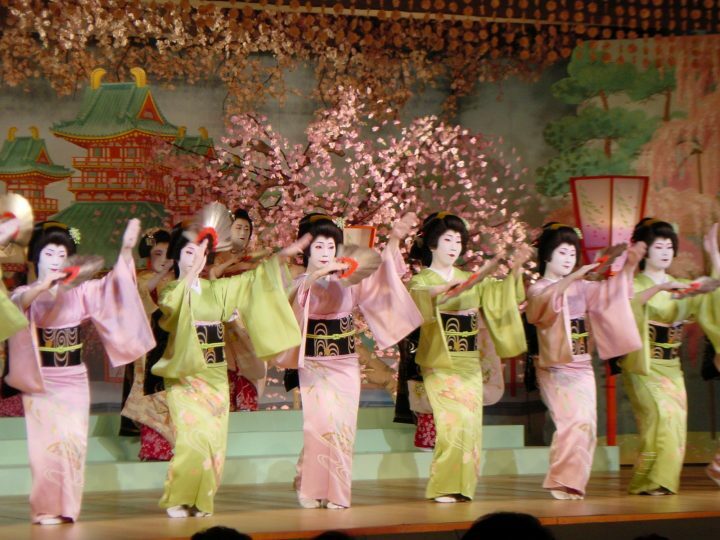 She will learn traditional Japanese dancing and have to remember a plethora of extremely complicated dances by heart. Remarkably, this is still only a small part of the education a geiko receives. 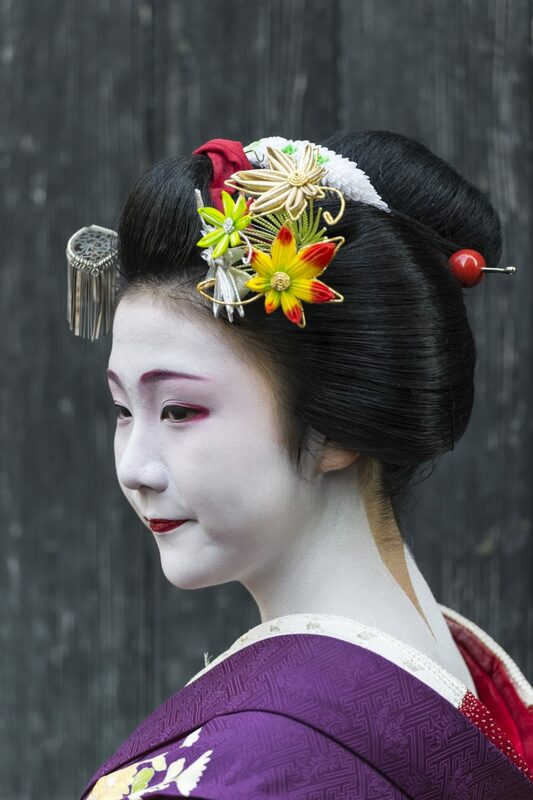 She also has to learn how to talk ‘properly’, as the geiko of Kyoto use a dialect unique to their role. Seeing as most of the girls come from other prefectures, it is akin to having to learn a completely different language. On top of this, she has to discover how to navigate the complex society that is the hanamachi, and from the beginning of training she must look to make contacts and find customers to secure her future. I soon came to realise that these were tough young women. Before geiko even begin their training, there is a period that they spend simply observing, sometimes for up to twelve months. Not surprisingly, there is a 50 percent dropout rate during this time. You could draw parallels with special forces training, or the arduousness of elite sports. Knowing how hard it was, I could only conclude that these girls really want to be where they are. It’s been this way, by and large, for centuries. The original geisha descended from the tea servers at roadside inns, from dancing girls and from the artists who entertained customers waiting for popular courtesans in the Edo (Tokyo) pleasure districts. These first geisha were actually men, but by the 1750s there were female geisha also working as entertainers. They quickly gained popularity as skilled musicians, dancers and excellent raconteurs, and over time the gender balance shifted. 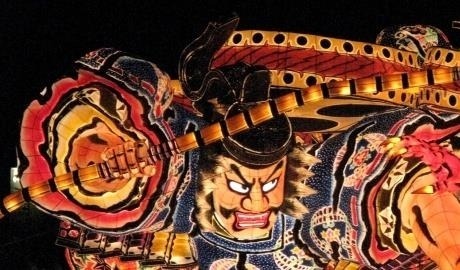 When the Tokugawa Shogunate took control of Japan in 1603, it ushered in a period of peace that allowed for a flourishing of the arts. This peace also led to the rise of the samurai class, retired warriors who began to look for other pursuits, and rich merchants, who had money to spend solely on pleasure and the arts. Their world became known as ukiyo (The Floating World), in which the newly in-demand geisha found their lucrative place. All of this swam through my mind in Gion as we met Fukuhana-san – although it should be noted that Fukuhana is not her real name; this is a title given to her by her house mother, and (as tradition dictates) includes a Chinese character from the name of the senior geiko in her house. I could tell by the fact that she only had her bottom lip painted red that she was a first-year apprentice. Despite this, she was remarkably self-assured and managed to keep up a stream of small talk until we regained our composure and were ready with our questions. It soon became apparent that Fukuhana was no shrinking violet, and she was refreshingly frank with all her answers. “Can you tell us a bit about your kimono?” I enquired. “Sure,” she said and stood up. “The kimono are all seasonal,” she elaborated. “This one is for early autumn – you can tell by the colour and the flowers”. She was wearing a light-green, hand-painted silk kimono that flowed along the ground, so you couldn’t see her feet. It had incredibly long sleeves, which she quickly explained away. “In the past, maiko were dancing girls, and they often had to wear the kimono of the older girls living in the okiya (geisha house). The way we wear our kimono today is a relic of those times”. She then turned to show us the obi (the broad sash worn with the kimono). “Can you see the way this is worn up high and hangs down at the back? It’s called a darari obi and is only worn by us maiko”. She then pointed to a crest printed on the end of her sash. “That’s my okiya’s crest. In the old days, that was there in case one of the dancing girls got lost and had to be taken home – it doesn’t happen now,” she added with a laugh. The obi is so long and heavy that it takes a lot of strength to tie it up, and is only done by professional male kimono dressers, she told us. Incidentally, these are the only males allowed into the everyday world of the geisha, a province otherwise entirely dominated by women. Then one of our party noticed that the white make-up she wore on her face and neck had two strips of skin left unpainted on the back. “In Japan, the neck is often considered to be a woman’s most beautiful feature, so we wear the collars of our kimono down low and paint the neck to draw attention to it – and to make it seem longer”, she explained. “Do you do your own make-up?” someone asked incredulously. “Yes,” she answered. “And how long does it take?” came the follow-up question. “Well, it used to take me ages but now I can do it in about 30 minutes”, she smiled, miming the action of using two mirrors. Question followed question, and it wasn’t long before someone piped up to ask the obvious: why did she choose her profession? It turned out that her mother was quite a well-known shamisen player, who often brought her young daughter to Kyoto when she came to perform. Fukuhana, an accomplished player herself, said that being a geiko was all she ever wanted to do, and behind her calm demeanour clearly hid a very driven young woman. She gave a sense that she genuinely wanted to preserve the art form and seemed to see herself as more of a curator than a hostess. “When do you get time to yourself?” we asked, now emboldened. The answer came simply that she doesn’t. Maiko must study between late morning and afternoon, then go home to get ready before accompanying a geiko or an older maiko to learn how to entertain customers in the evening. They are always chaperoned, and forbidden from drinking until they reach legal age, but only get one day off a week (and during busy periods, sometimes work for a month with no days off at all). Maiko are also expected to live in an okiya with their ‘mother’ (the house mistress) and ‘older sister’ (a senior geiko) – who together are responsible for their education. The ‘mother’ covers the hefty expenses that accompany geiko training, (the kimono themselves run to millions of yen), and until a maiko debuts as a fully-fledged geiko, the money she earns goes back to the house. But beneath all the responsibility, tradition and make-up, there is still a modern girl underneath, and when we asked Fukuhana what she did on her few days off, the young girl soon emerged – “Go to Starbucks and watch TV”. Of course. You may ask yourself why these girls put themselves through this hardship, and I initially considered the same thing. But discussing this with one of my fellow travellers changed my thinking. Are the arts of the geiko so different to what, say, a ballet dancer or gymnast has to go through? I guess to join the elite few in any discipline, you have to train and suffer for your art. But once you achieve your goal, there are amazing benefits to be had – and it’s no different here. A geiko can not only earn very good money once she goes out on her own, but also traditionally achieves a high social rank as well as the kudos that goes with the profession. As Fukuhana poured us some tea, I commented on the dangling ornaments that hung from her hair – something you can’t help but notice with every maiko. “It’s not a wig,” she told me. 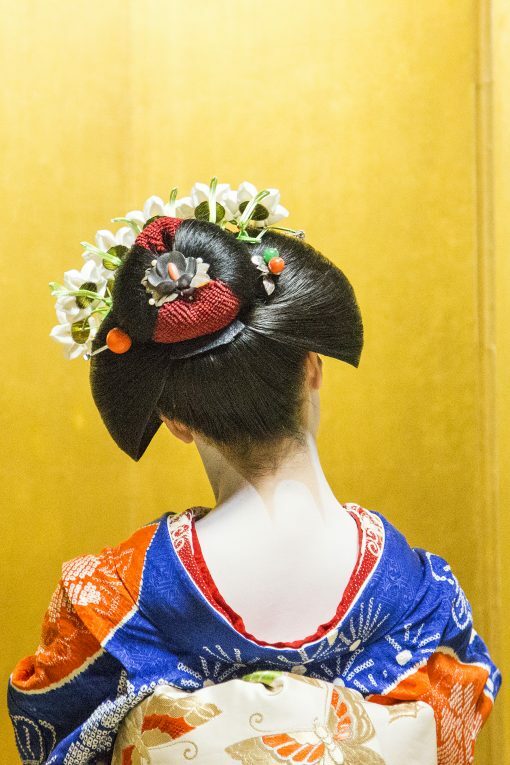 “All maiko must keep their hair in the traditional style until they debut as a geiko”. This means they have to visit the hairdresser once a week to get it washed and set, and sleep on a takamakura (a wooden-block pillow) to preserve the style. “It takes a long time to get used to”, she confessed. After the tea and some more small talk, it was time to play a game. These games were traditionally used by the geiko to distract their clients and keep them drinking. We played an old drinking game – minus the sake – and let me tell you, she was a master. We played one called Konpira Fune, one of the most famous, and none of us won. The game was accompanied by a lullaby-like song that made it even more difficult to concentrate. Following the game, Fukuhana retired to get ready to dance for us. When she emerged, I had something of an epiphany. It finally dawned that this was not simply hosting but a genuine art form, and one that had been honed over many centuries. It was a slice of ancient Japan every bit as compelling and valuable as Kyoto’s temples and shrines, and as she began to dance, I couldn’t look away. There soon followed a hush as my group became transfixed. Sung to a haunting traditional melody, the song was one about the darari obi, perfect for a maiko. As we watched and listened, Fukuhana told a story in dance about a young maiko in Kyoto, taking us through the four seasons. She mimed rivers, water, the heat, falling leaves and snow, leaving us with a sense of beauty, accompanied by a hint of loneliness and sadness. We were astonished by the skill in her movement and the depth of the story. that the dance conveyed. When it was over, there was complete silence as we took it all in and collectively decided whether to cry or give her a round of applause – we clapped. Nobody knows how many geisha are left today. It’s thought that in pre-war Japan there were over 80,000, and current estimates vary wildly from a couple of hundred to two thousand. But though their numbers have diminished, a revival in interest in traditional culture has led to a resurgence in young women entering the profession – despite its hardships. But it is still very rare to see a geisha or a maiko on the street, and even more special to meet one in person. I and my group can certainly testify to that. 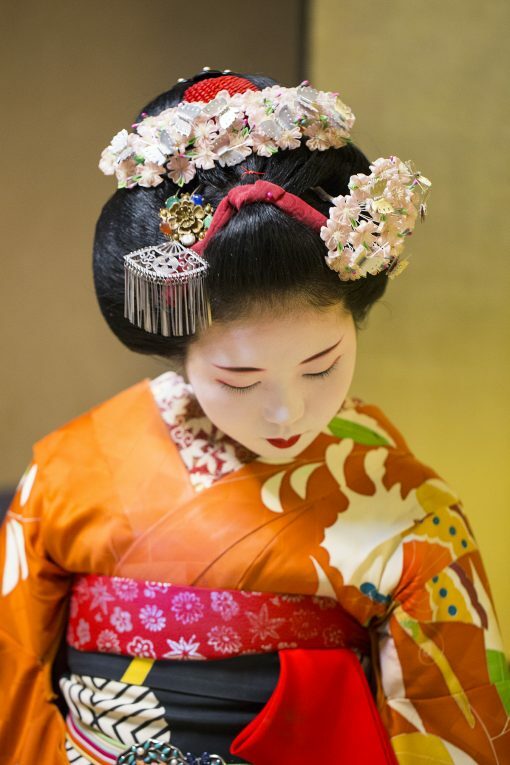 Meet a maiko on our Spring Elegance Small Group Tour. 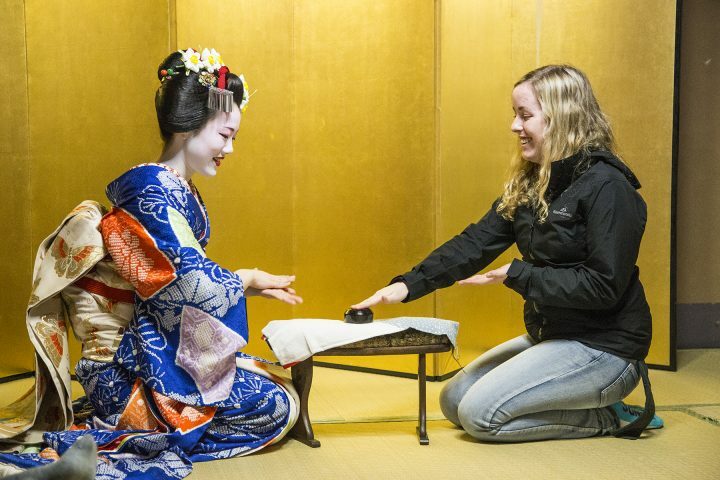 Not only will you have chance to watch a performance and play some games with a trainee geisha, your tour leader will be on-hand to translate all those questions you’re longing to ask. 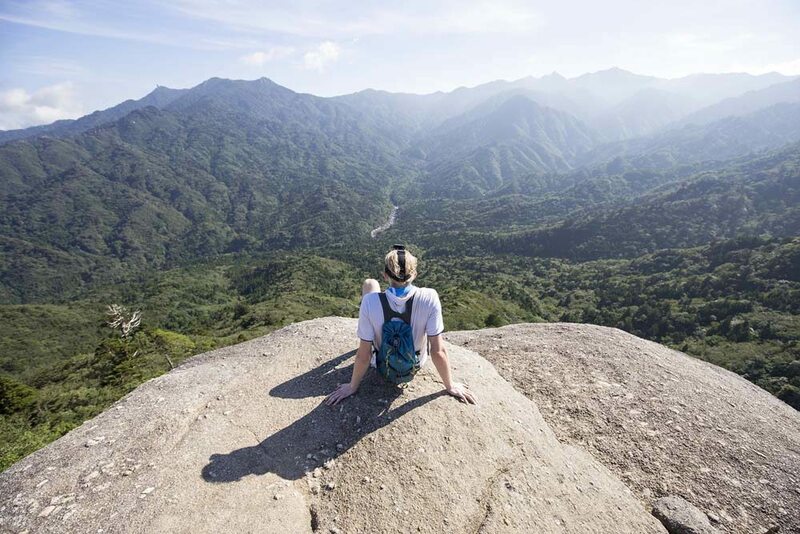 Get in touch with our Japan travel experts to find out more. This article originally featured in east magazine. 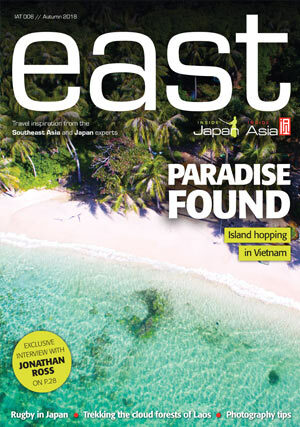 To get the latest travel inspiration from Japan and Southeast Asia delivered to your door twice a year for FREE, sign-up here. Alternatively, all our back issues are available to read on our website.